Our Mexico and New York honeymoon is perfect for those looking to grab a slice of city living and beach paradise. Spend your honeymoon shopping through the bustling 5th Avenue, exploring central park and then head to sunny Mexico. Mexico’s impressive streets lined with fine dining and shopping districts, a lively nightlife and beautiful culture to endeavour. Chichen Itza is one of the new Seven Wonders of the World, the beginning of your enlightening tour of Mexico. The ancient ruins along with a museum will visually tell you the history of Mexico. It’s a must visit. Riveira Maya is home to the marvelous Xcaret archaeological park. Discover underground rivers, lagoons and pools, or venture to the other side of the park to meet the spider monkeys, turtles and swim with dolphins. In the evening more than 300 actors and performers take visitors on a musical journey of Mexico. This unique experience is a mere 15 minutes away from the Paradisus La Perla. There are a few sights of New York City that you cannot miss. The subway is the easiest way to get around Manhattan, so jump on and travel down to South Ferry. Its advisable to pre-book your ferry seats as queues for the Statue of Liberty can wind for hours. Once you’ve visited the green lady, don’t hop on the subway back to midtown; wander in the opposite direction to discover the Vietnam War memorial and the Brooklyn Bridge. After all that sightseeing, it must be time for some romance; it is your honeymoon after all. Meander onto 5th Avenue and let the boutique’s department stores and street vendors introduce you to a whole new way of shopping. Tiffany & Co, Saks Fifth Avenue, Bergdorf Goodman are just a few of the shops that will lure you in on your way to Central Park. By now, it must be cocktail hour and time to visit the world-famous Plaza Hotel, pick a cocktail and take in the magnificent views over 5th Avenue. Below is an example itinerary. 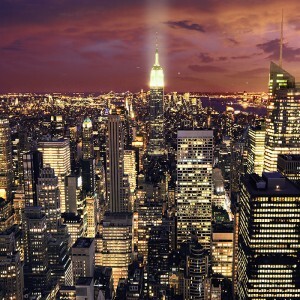 For a tailor made New York and Mexico honeymoon multi-centre call 0121 440 6268. 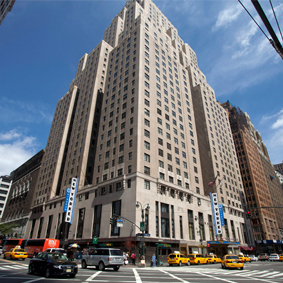 Situated in midtown Manhattan, Wyndham New Yorker Hotel is ideally placed just moments from Madison Square Gardens and Penn Station. The newly designed guest rooms offer spacious living; modern amenities and cozy interiors for a welcoming city break in the city that never sleeps! 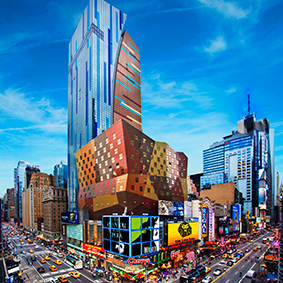 Wyndham New Yorker Hotel serves as an ideal base to explore the city, with sights such as Byrant Park, Central Park and Central Zoo, Empire State Building and the National September 11 memorial museum being local points of exploration. 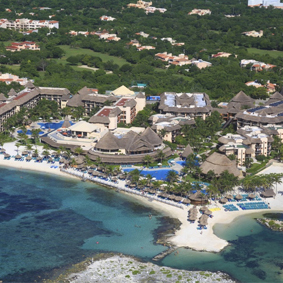 Catalonia Riviera Maya Resort & Spa Hotel is set in the Puerto Aventuras are with some of the most splendid coastlines in Mexico, in the heart of the Riviera Maya. Enjoy all-inclusive luxury at Catalonia Riviera Maya, with 3 a la carte dinners per person, per week and unlimited national alcoholic beverages. Resort facilities include free Wi-Fi around in the hotel, nightly entertainment, daily activities in swimming pool or beach and a free introductory diving course in the swimming pool. The Paradisus Playa Del Carmen La Perla is a haven of tranquility surrounded by an array of cultural and exhilarating landmarks. Whether you decided to lounge in your swim-up room and enjoy your butler service or explore the surrounding area; Mexico has everything for honeymooners. Price based on November departures. This fabulous hotel is based in the centre of Times Square; see the famous sites and sounds of Times Square from your bedroom window. Whilst this hotel has a fantastic location, it also is a haven of relaxation for when you've shopped, dined and discovered enough for one day. Hotel Mela is a boutique hotel set in midtown Manhattan with just 232 modern guest rooms and suites. With 5th Avenue and Times Square nearby, you’ll have plenty of things to fill your amazing city break in New York with Hotel Mela serving as your luxury base of exploration. Prices based on August departures. 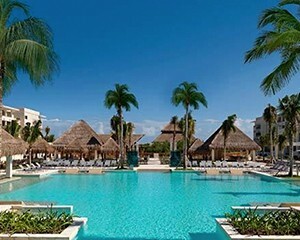 Situated 45 minutes from Cancun Airport and just steps away from the Playa del Carmen’s famous 5th Avenue. 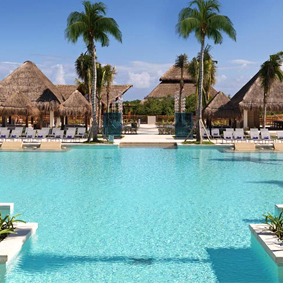 The Paradisus Playa del Carmen La Perla is a five-star All Inclusive resort like no-other. The uniquely designed swim-up rooms are the perfect honeymoon retreat.